If you are a bride then you know everything can be super stressful including bridesmaids gifts! Not to mention very expensive!! On top of that you want them cute and personalized and maybe a little fun! 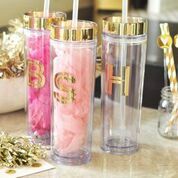 I wanted to share my personal picks for Bridesmaids gifts with y'all. Don't worry if I find more I will add them in another post later because Lord knows I understand how difficult this can be! I found a lot of my picks from a great company on Etsy! They are called ModParty and everything they have is affordable, great quality, and adorable!! From mother of the bride gifts, bridal party gifts, champagne flutes, wine glasses and maid of honor gifts they have it all! Not to mention we all know how hard it is to find bridesmaids gifts with these qualities so I was beyond excited to find them. Here are my picks from ModParty and LADIES #1-6 ARE ALL UNDER $15!!!!!! Check out my #7-10 for UNDER $20!!!! I hope this list makes it easier for you stressed out brides! I also am hoping my girls will not look at this, or all surprises are out the window lol but then again I have never been good at keeping secrets!